On his second release for Evil Penguin, Belgian piano prodigy Julien Libeer teams up with the new ensemble Les Métamorphoses to contrast authentic and neo guises of 18th century music. The true classicists are featured on this disc with unusually restrained work: Haydn’s Passion Symphony no. 49 is broodingly solemn, Mozart’s last piano concerto no. 27 deceptively intimate. These repertoire icons are coupled to Dino Lipatti’s crystalline Concertino in the Classical Style (1936), which sheds neo-classical light on the vintage idiom. When Lipatti (1917-1950) died at the age of 33, he was already a piano legend: Poulenc found “divine spirituality” in his playing, and Enescu believed his godchild was “born with a star above his head”. The Concertino is audibly indebted to Bach and Scarlatti, but there are dashes of Stravinsky, as well as a foretaste of Bela Bartók’s language. Libeer’s fusion of older and newer worlds is not limited to the programme of this record. Although Les Métamorphoses typically play on modern instruments (albeit with the greatest possible respect for the respective sonorities of different eras), they engaged natural horns and wooden transverse flutes for period colour and crisp. The solo piano also represents the best of both worlds: the Concert grand with parallel strings (which Chris Maene originally built for Daniel Barenboim) combines pianoforte possibilities – clearly distinguishable voices and colour across registers – with the technical advantages and playing comfort of a modern Steinway. The result, says Julien Libeer, is an instrument “which speaks as beautifully as it sings”. For Libeer, this new recording represents the next stage in a brilliant, but unusual career. Although the pianist consciously steers clear of the competition circuit, he obtained an impressive range of awards (including Young Musician of the Year 2010 from the Belgian national broadcaster Klara). His first solo record Lignes Claires featured work by Ravel and Lipatti and was highly acclaimed in the press (5 Diapasons). His second album (with Lorenzo Gatto, in violin sonatas by Beethoven) received the Diapason d’Or of the year 2016. The present recording is Julien Libeer’s first orchestral release. It was recorded in the generous acoustics of the Concertgebouw Brugge. "Beautifully modest design in a nice cardboard case. The booklet is easy to browse. But not only the eye, the ear will be satisfied with refreshing recordings, full of speed." 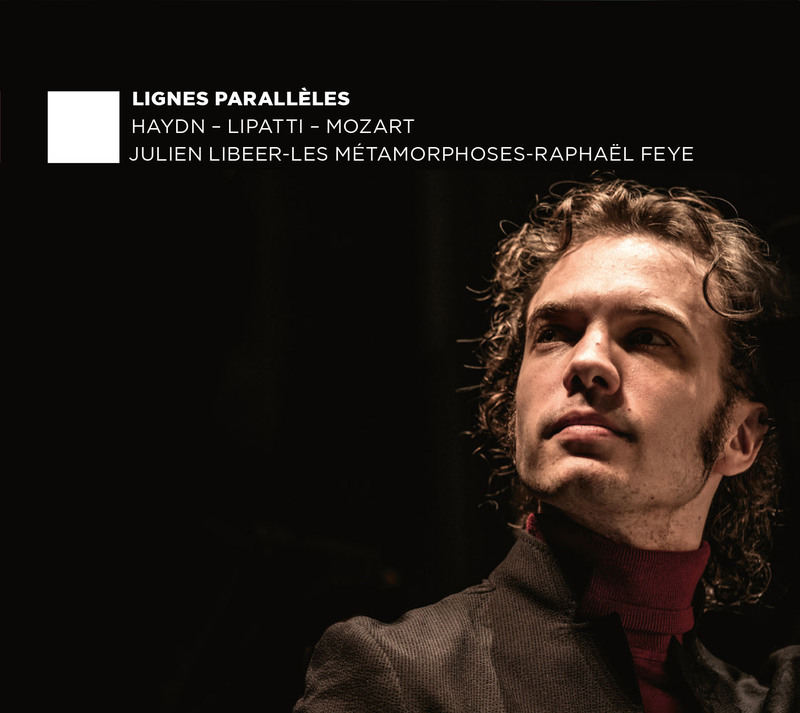 "9 Albums that deserved more attention during this past year"
"Lignes Claires and Lignes Parallèles are not only two beautiful CDs on which Julien Libeer proves himself as a master pianist, together with the beautiful ensemble Les Métamorphoses and conductor Raphaël Feye. They are distinguished by the loving commitment to the composer Dinu Lipatti. Listen to the opening part of the Concertino once and you are sold." "***** - The music remains elegant and sparkling from start to finish, and Libeer clearly has a great affinity with it."